The Partnership Team and consultants added eight additional alternatives to the Jackson County Commuter Corridors Alternatives Analysis (JCCCAA). 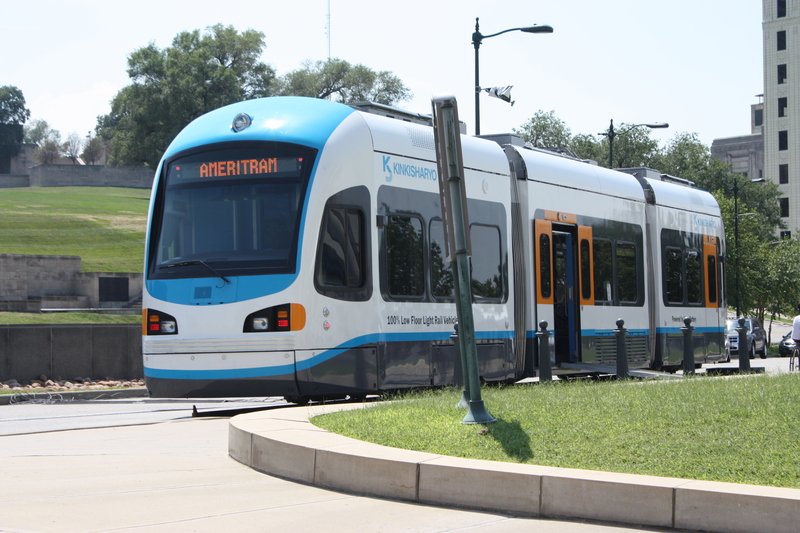 In the final interview of this series, Lisa Koch, senior planner with the lead consulting team Parsons Brinckerhoff, discusses these alternatives which include various combinations of three transit modes; Enhanced Streetcar, Diesel Multiple Unit (DMU) and Bus Rapid Transit (BRT). Maps of all the combinations are available below. 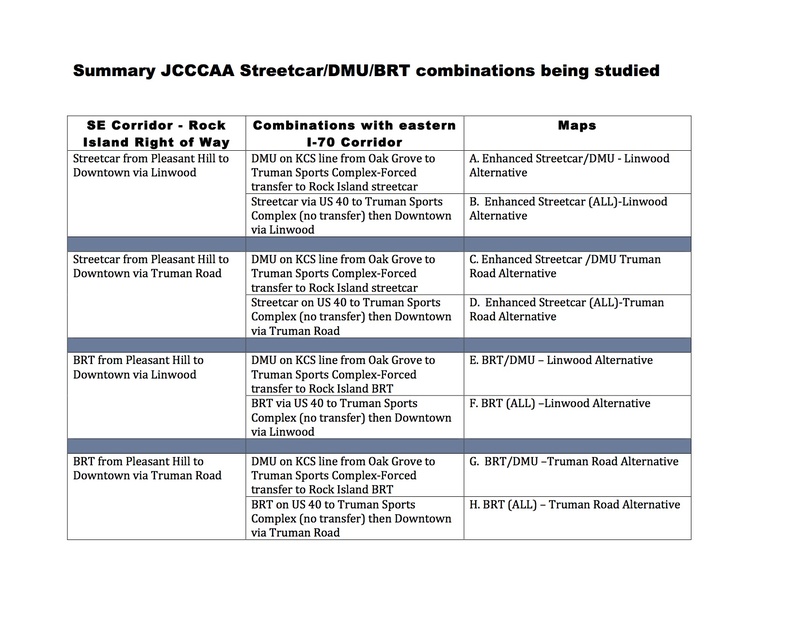 Lisa also describes the traffic control elements being planned for an Enhanced Streetcar to travel on the streets and how these elements differ from the ones used by the Regional Rail DMU alternative discussed in the previous interview. An alternatives analysis requires a substantial amount of work to evaluate the possible transit solutions for a corridor. The analysis includes a complex comparison process to decide which alternative is the best fit for our region at this time. Lisa has agreed to visit with TAN again to update us on status of the study and provide insight into the FTA process used to rate the alternatives. TAN appreciates Tom Gerend of MARC and Lisa Koch of Parsons Brinckerhoff, along with Shockey Consulting and TranSystems, for making all of this information available to our viewers. The next open house is March 13 -15 going to be re-scheduled. This entry was posted on February 24, 2012 at 4:29 PM	and is filed under Local Transit Issues, Rail, Regional Transit Issue, Transit Studies, Videos-Transit. Tagged: Jackson County, Kansas City, KCATA, MARC. You can follow any responses to this entry through the RSS 2.0 feed. You can leave a response, or trackback from your own site.